Prague looks like a place straight out of a fairy tale complete with a castle, palace, and princess! With Prague Weekend you get the best of both worlds: history and sightseeing along, with culture which includes late nights out! This magical city will fascinate you and leave you wanting to come back for more! Ahoj! We recommend you arrive on Thursday evening (extra night) to maximize your time in one of Europe's most notorious and exciting cities. We'll forward recommendations ahead of time on neighborhoods, venues and nightlife options. This trip is one of our classic "short weekends" where we your guiding time is from 5pm on Friday, and all day Saturday. If you've got the time, arrive a day early so you can explore and get your barings a bit on this beautiful city. You'll have time to check out some beautiful parks and other neighborhoods that we won't cover as a group. The hostel puts on nightly pub crawls for you to enjoy too! 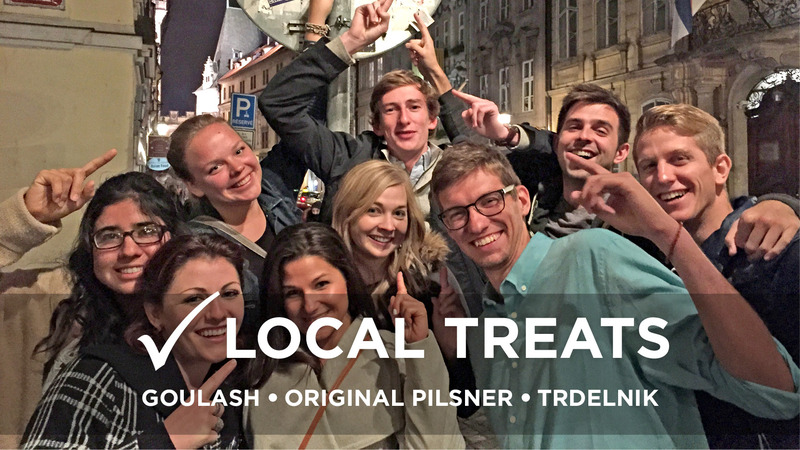 Show up anytime on Friday and take the day to check in, relax at the hostel, explore the neighborhood and enjoy some first moments in Prague. 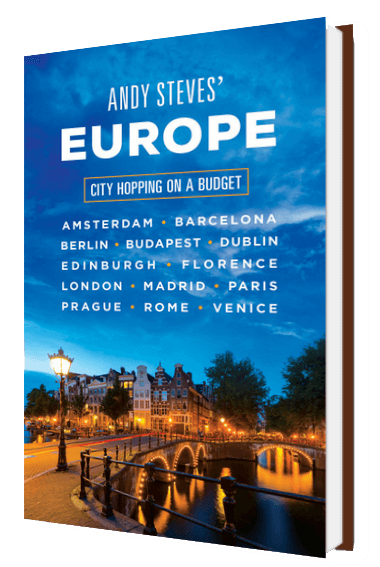 That evening, meet the group and guide at the hostel at 5pm for a welcome chat, and to hop onto a tram to zip us up to the Prague Castle district. From there, we'll take in a sunset view of Prague, and make our way up to the Strahov Monastery, a historic site where we'll an enjoy an included dinner and craft beer brewed right there on-site. From there, we'll continue downhill back to Lennon Wall, Charles Bridge and to make our way back to the city center for nightlife and beautiful views. We'll kick off an Old Town stroll at 10:30am. We'll explore the old Medieval heart of Prague over about three hours. Hope you're not afraid of heights! We'll climb the famous Clocktower and take in the massive Wenceslas Square where the Velvet Revolution began to break the Czechs away from Communism. The Old Town is jam-packed with striking Baroque, Renaissance and Gothic architecture, making you feel as if you jumped straight into a fairytale novel, and you'll have lunch in a traditional Czech restaurant. We'll continue into the Jewish Quarter of Prague, to see the Pinkas Synagogue and to peer into the Jewish cemetery where over 200,000 people are buried. That afternoon, you'll enjoy the good weather with paddle boating on the Vlatava. Don’t forget to BYO snacks & beverages! Meet up with the WSA group back at the hostel for an evening of ghost stories, and a night out including Prague’s most unique cellar bars & pubs. In the clubbing mood? Check out Prague's notorious 5-floor club! On Sunday, you're free to head Vysehrad Castle and wander the well-preserved ramparts, or check out local markets, more museums or just sleep in. We'll help set you up with directions, recommendations and any info you may need. Tour members are free to leave whenever to catch transportation arrangements. More of a solo go-getter? The Prague Detour is perfect for you! This city has beautiful architecture, delicious goulash, world-famous beer, and a raging nightlife, it’s no wonder Prague is at the top of everyone’s must-see list! Use our itinerary and insider tips to guide you through this enchanted city to make the most of your time and get off the beaten path! BUDAPEST KRAKOW PRAGUE Explore Central Europe's most unforgettable cities during your break! In 9 jampacked days, you'll jump into the infamous thermal baths, day trip to Auschwitz, cave beneath the hills of Buda, and take in panoramic views of Prague's clock towers, and of course savor the most delicious and hearty meals.